Garnering numerous nominations, Jim received IBMA’s prestigious “Guitar Player of the Year” awards for 2001 and 2002. This award is voted on by IBMA members including his peers and contemporaries revealing their appreciation of Jim’s abilities. After recording and touring with several Country and Bluegrass artists, Jim decided in 2010 to embark on a solo career to focus mostly on his own musical expression and art. 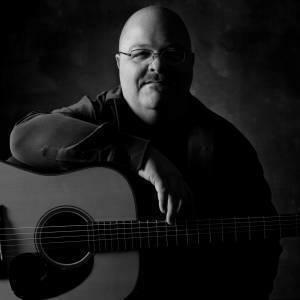 As a musician, vocalist, songwriter, arranger and producer, Jim has recorded 7 CDs including: Open Window, Second Son, A Box of Chocolates, Intrepid, Looking Glass, JHT-1, and Atlantic Crossing. Jim’s virtuosity shines as he consistently sways audiences with his deft finger work and smooth vocals. Jim performs his show full time and teaches at guitar workshops and music camps in North America and Europe. While he occasionally collaborates with other bluegrass greats, his solo and Jim Hurst Trio performance are what keeps audiences mesmerized.